The registration for the event has now closed. We have received a total of 310 requests!! Thank you, everyone, for your interest! We are truly honored ? Despite the fact that we have already changed the venue to accommodate 3x the size originally planned, we still cannot fit all of you. Therefore, we will have to hold a draw today. You will receive an email from us by the end of today. Thanks for your patience! The role of design has expanded dramatically. We’ve evolved from crafting products and services to transforming organizations. 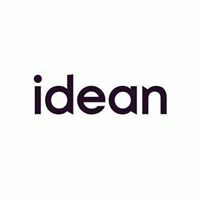 At last, design has a seat at the table - what will we do with it? What are the new mindsets and tools needed to use design as a driver for change? 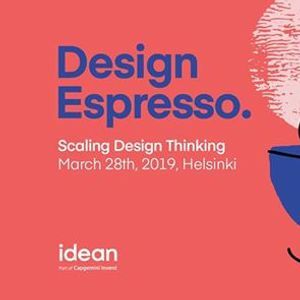 How can you nurture and scale design thinking throughout your organization? 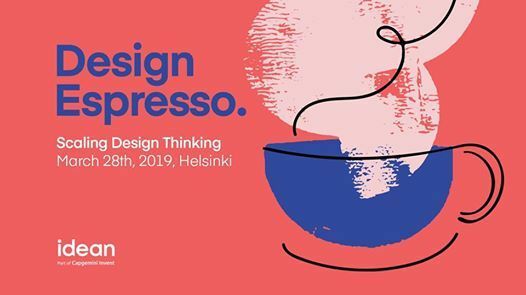 Join us for the first Design Espresso, where we will hear from trailblazers who are using design as a catalyst for change in their organizations.